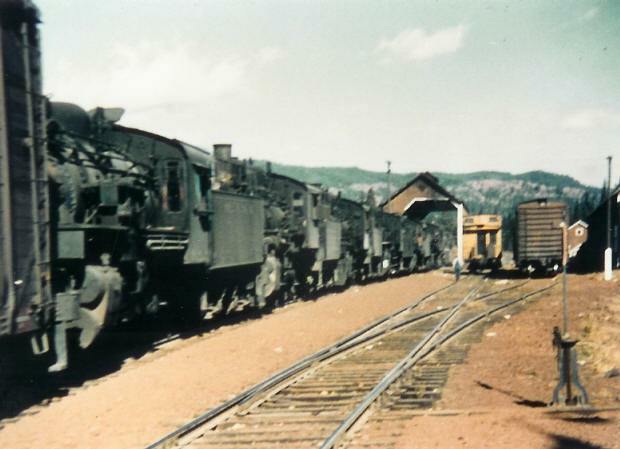 The scrap line of McCloud steamers waiting to be sold. The building over the tracks in the background was the old covered track scale. Photo from the Dennis Sullivan collection. A mystery. Yreka Western #100 sitting in the McCloud yards. 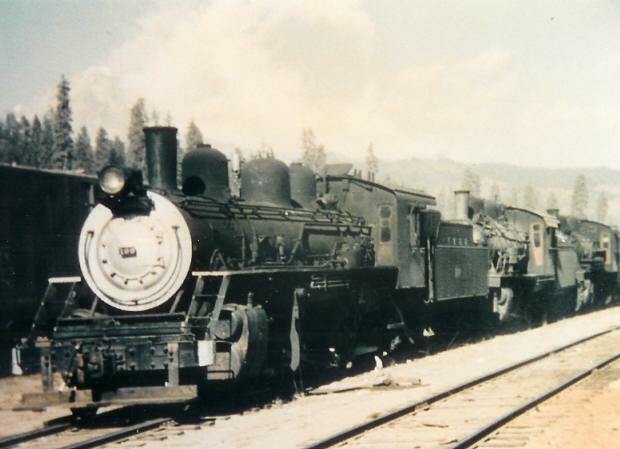 The Yreka Western had a pair of small 0-6-0 switchers that had were proving to be too small to be of much further use to the company. The YW started searching for larger power. Their initial efforts focused on getting this locomotive, which was Long Bell Lumber Company #100, operating on their line out of Tennant, California. The first deal fell through, however, and instead the YW bought the McCloud #19. A few years later, the YW did strike a deal to buy the #100, and it was moved to Yreka and painted for it's new owner. However, the #100 proved to need more work than what the YW had money for, and it was quickly replaced by the McCloud's #18 and re-sold for scrap. Obviously the #100 made a side trip to McCloud at some point, perhaps to join other McCloud locomotives heading to the scrap yards. Dennis Sullivan collection.